Pre-requisites: You will need a working Broadband Connection; Wireless Router; Computers with Wireless Network Adapters; and other wireless network devices such as Smart Phones, iPad, wireless printer, Gaming Console (eg…PS3, Xbox), Smart TV, Roku Box, etc. In this Tutorial, we will use a Linksys Router. The procedure may vary depending on the Model of your Linskys Router but it will be similar. Other routers such as D-Link, Belkin, Netgear, etc. will have similar features. Installation CD is not required in this process, this is a manual process. Connect a patch network cable between the Modem output port and the Router’s WAN or Internet Port. Connect a patch network cable (also called an Ethernet cable ) from one of the router’s LAN or Ethernet Ports to each device that will use a wired connection. Keep an eye on the Modem and Router’s lights until they are stabilized. You may need to do a Power Cycle just in case you can’t access the Router’s IP Address. Note: Crossover network cable is not required if your router supports Auto-negotiation. 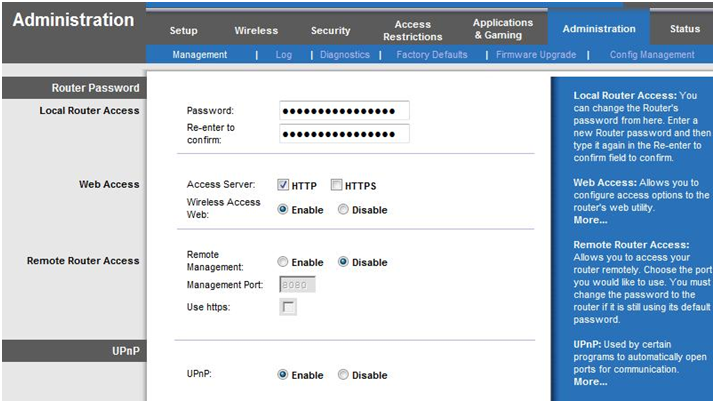 While your computer is connected to the router, open up a browser (IE, Chrome, Firefox) and type http://192.168.1.1, this will prompt you for a User Name and Password, The default User Name (for most of the Linksys Routers) is admin, default Password is admin. It is advisable to change the User Name and Password for security purpose. 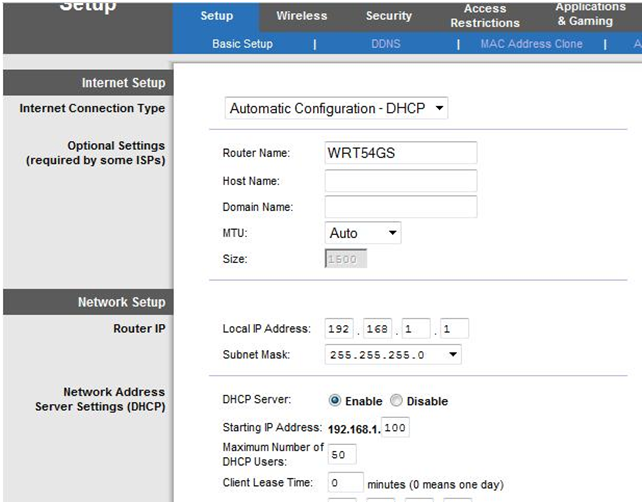 In the Basic Setup page, verify that DHCP is enabled and that there are at least 50 DHCP Users. In the Administration Tab you may change the Router’s password (do not use the default password for security reason). In the Wireless Tab, then Basic Wireless Settings, change the SSID or wireless network, make sure not use your Router’s Name. 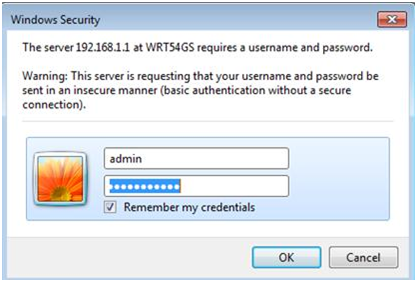 In the Wireless Security Tab, you may setup your wireless network encryption. 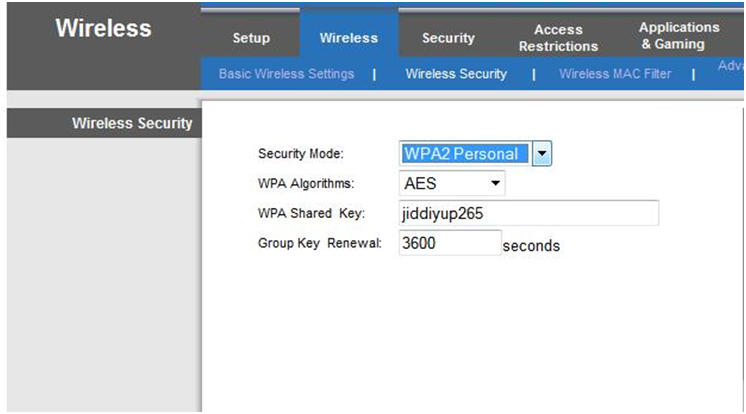 It is recommended to use WPA2, then type in the Shared key (also known as security/ encryption key or pass-phrase) of your choice and make a note of it because you will apply the same Shared key on all your wireless devices that need to be connected to this router. If, for some reason that other wireless devices can’t connect to your router, you may change the wireless security in Security Mode, try not to use WEP because this is not secured at all. I prefer to manually setup the Security Mode. 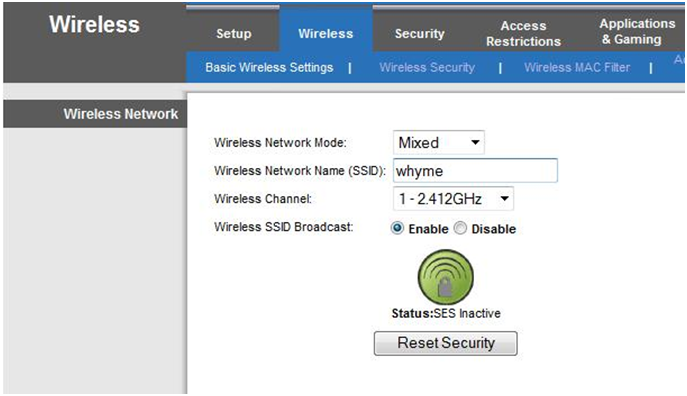 Although, you may choose to use the Wi-Fi Protected Setup (WPS) to automatically set up your wireless security. Other options that you may configure later on: Application Rules, Port-forwarding, Firewall Setting, Quality of Service (QoS) etc…..and all of these can be found in the Advanced Setting tab. Now save all the settings. In the WAN page of your router verify that you can see your ISP’s Public IP information and all of the settings that you have made. Once everything is verified, you have just completed configuring your router. Your next task: Connecting all your wireless computers and devices to your wireless router. Ensure that you have the SSID and pass-phrase ready. 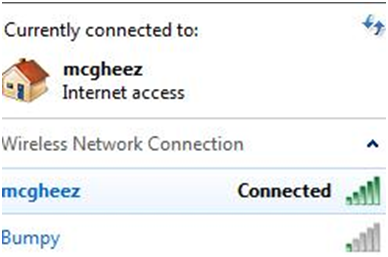 Log on to your Windows 7 and/or Vista wireless computers andclick on the network icon or in the notification area. 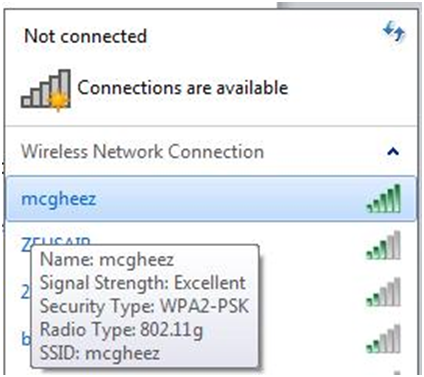 Choose your own SSID or wireless network name (SSID must be broadcasting) that appears on the connections available. Log on to your Windows XP wireless computers and connect to your SSID. 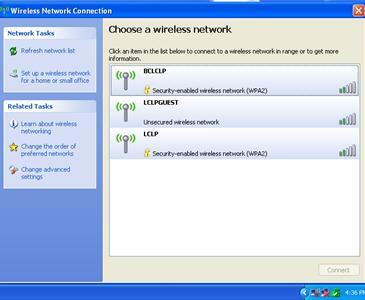 As you can see in this image the wireless network connection properties is different than Windows 7 and Vista. Click Connect to your SSID and it should prompt you for the Security key, make sure to correctly type it in. You should now see that your computer is connected to your wireless network. Now that you have a wireless home network setup, it is recommended that all computers have Firewall enabled. The Windows built-in Firewall is a good protection. Anti-Virus and Anti-Spyware/Anti-Malware Software must be installed as well. Also, if you’re having a minor networking issue such as disconnection after all of the above configurations, a Power Cycle might help. If, for some reason your wireless connection doesn’t work, depending on your ISP, you might need to enable Mac Cloning. This option is visible in your router setting. Note: Don’t forget to connect the rest of your wireless devices such as Smart Phones (IPhone, Blackberry and Android) wireless NAS, wireless Printers and gaming consoles to your wireless network.